Need to tap into one of your fluid tanks but can't get to the inside to use a traditional bulkhead tank fitting (i.e. inside nut needs to be screwed on from the inside of the tank). 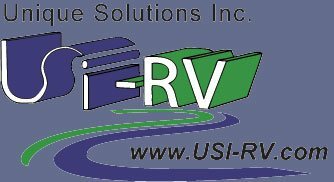 No worries, USI-RV has a solution for you. The USI-RV designed Bulkhead Blind Tank Fitting installs in less then 5 minutes providing a mechanically solid, fluid tight connection to your tank. Simply drill a hole-saw hole (Forstner bits recommended for plastic tanks) into your tank, insert the fitting, tighten the engagement nut and your done. The standard NPT end allows attachment of the supplied barb fitting or other fittings of your choice. The BBTF is machined from solid 360 brass and utilizes a flexible PVC sealing grommet (not designed for flammable liquids or potable water). Kit includes: BBTF, street ell, female NPT to Barb fitting, hole prep abrasive cloth, alcohol swab, and instruction sheet.